It’s the one-year anniversary of this very monthly extremes article on We Love Weather! 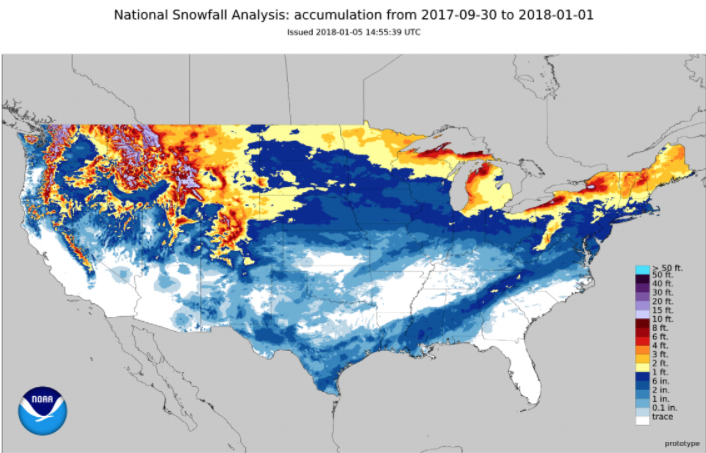 And what a year it has been – from a trifecta of major hurricanes and an explosive severe weather season to a brutal year-ending cold snap and snow from coast-to-coast north and south. So, was this a December to remember or a big lump of coal in Mother Nature’s stocking? Let’s find out! We last saw Gorman, CA make the list as the warmest place in the US in June as a grueling stretch of hot weather locked in over the southwest. December was no different. 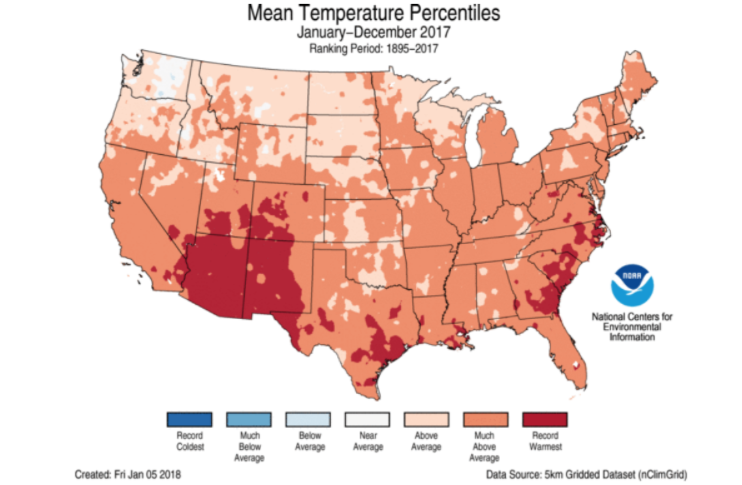 Large scale ridging developed toward the latter half of the month which flipped the switch on temperatures and kept things awfully toasty from California through the Four Corners region. 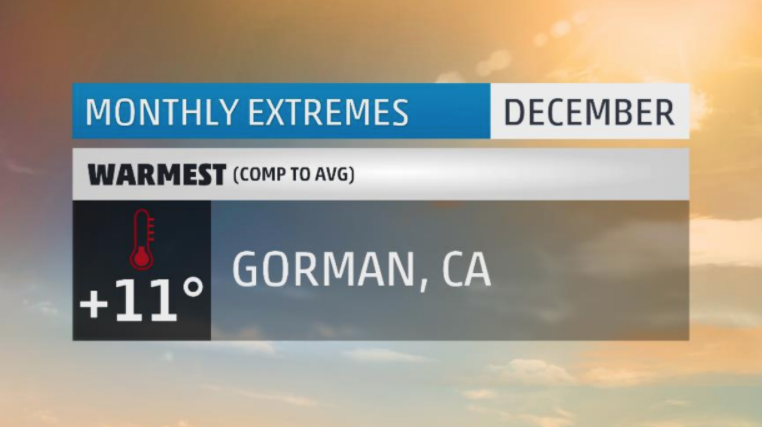 Gorman ended up having its warmest December on record at a whopping eleven degrees above the monthly average. Twenty-six of December’s 31 days would end up above average with 23 of those being at least 10 degrees above average. They would break the record for warmest December day by two degrees with a high temperature of 75 degrees on the 15th! Twenty-one days would top 60 degrees for a high, eight of which topped 70. Both of those are records for the most ever in any December on record. In all, 12 record daily high temperatures were set including the warmest Christmas day on record and the warmest New Year’s Eve on record. Raise your hand if 68 and sunny on Christmas day sounds good to you! Temperatures throughout the month were more comparable to late April or early May. On the year, 2017 would end up as Gorman’s 2nd warmest on record with three separate months breaking the record for warmest respectively. Anomalous warmth was primarily confined to the southwestern US. It was a bipolar month across much of the US in December as early season warmth gave way to a brutally cold final stretch. The worst of the cold was felt across the mid-Atlantic and Northeast where a handful of cities had one of their top 10 coldest Decembers. 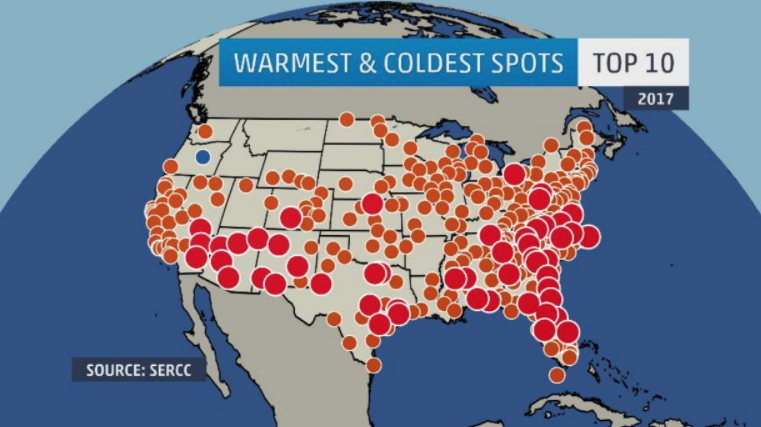 coldest on record at about eight degrees below average. Nineteen days would end up below average with nine days at least 20 degrees below the average. They would set their 2nd coldest high temperature and low temperature at -1 and -24 degrees respectively. On three separate days, the high temperature failed to reach zero degrees – the most for any December on record. 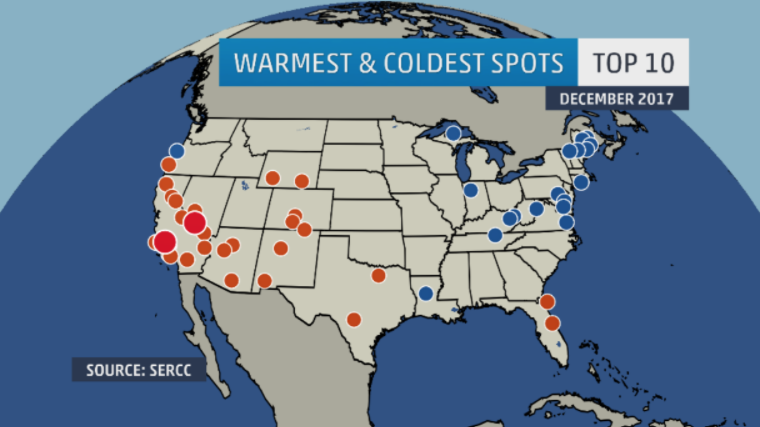 The same can be said for chilly overnight lows as 11 nights dipped below zero degrees – the 2nd most for any December. Six daily cold high temperature records would be set including the coldest New Year’s Eve on record. For perspective on just how cold it was: the temperature went below freezing at 8am on the 20th and stayed there for the rest of the entire month. That’s 304 hours in the ice box and was the 2nd longest stretch for any December on record. 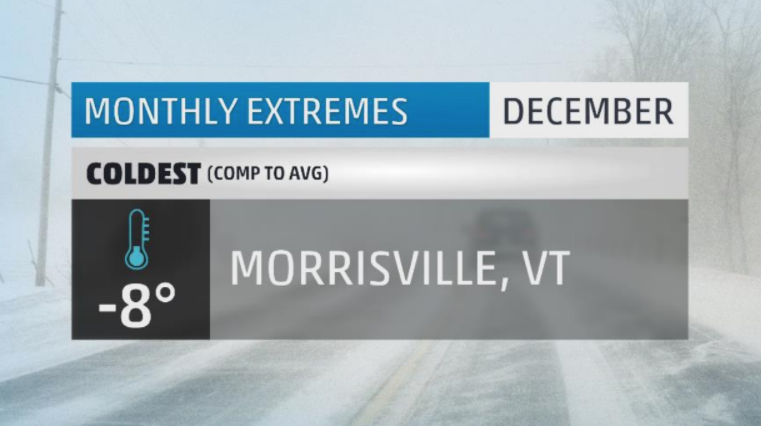 On the year, Morrisville would end up with their 11th coldest on record. Prolonged cold, however, was hard to find in 2017. Three-hundred and ninety-two cities would end up having one of their top 10 warmest years in 2017. Compare that to the ONE city that managed a top 10 coldest year on record. A handful of places that had their warmest year on record include: Las Vegas, Dallas, and Jacksonville Beach. 2017 would end up as the 3rd warmest year on record for the US. Most astonishing of all is how widespread above average temperatures were month-to-month across the US. Except for August, every single month had more cities with above average temperatures than not. 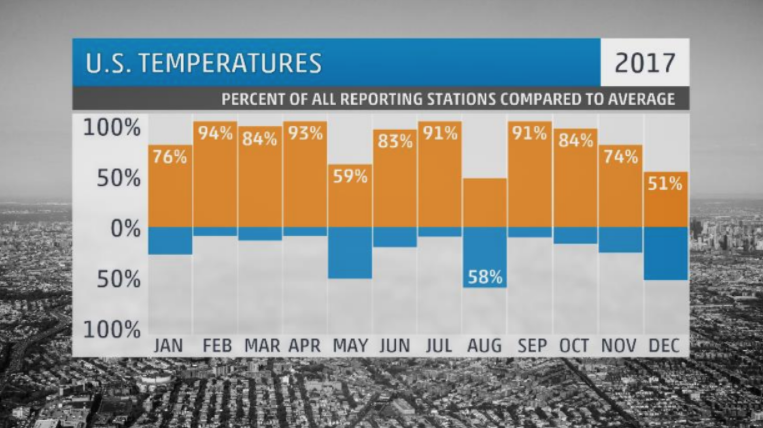 February was the most extreme case as 94% of US cities ended the month with above average temperatures. 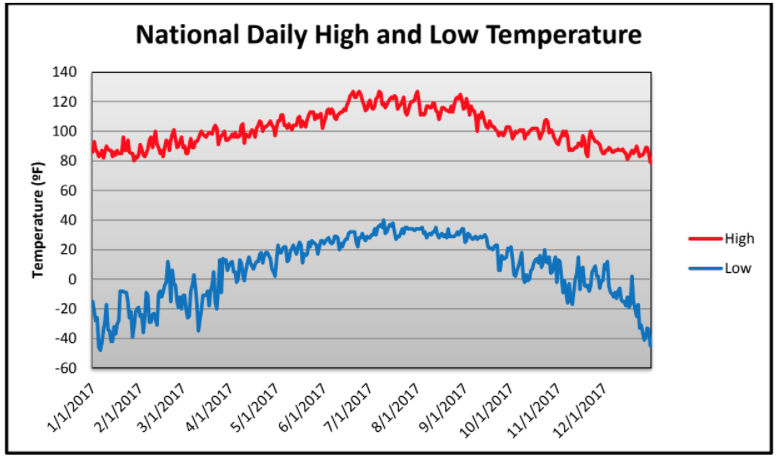 There is no way to spin the fact that 2017 was a runaway warm year for the US. The hottest temperature anywhere in the US this year was 127 degrees hit in Death Valley, CA on four separate occasions (6/20/, 6/24, 7/7, 8/1). The coldest temperature was -48 degrees set in Walden, CO on January 6th. January 6th also saw the greatest departure between national high and low temperatures at 123 degrees! It’s déjà vu all over again! 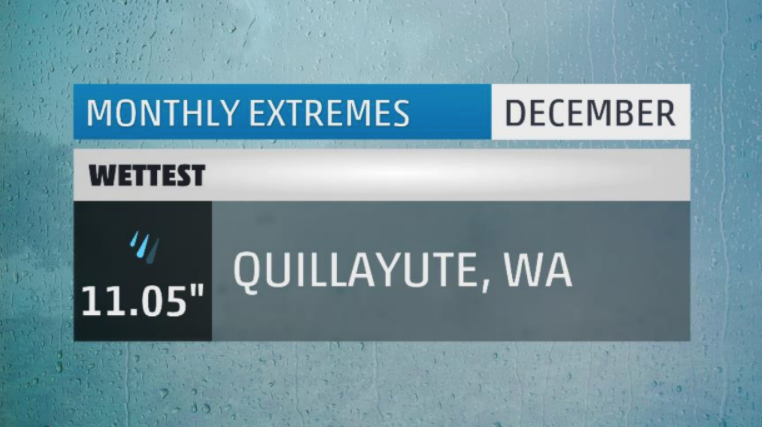 Quillayute, WA is back again at the top as the wettest spot in the US. Quillayute also becomes the first city to appear three times in one year in the same category! But here’s where it takes a turn. 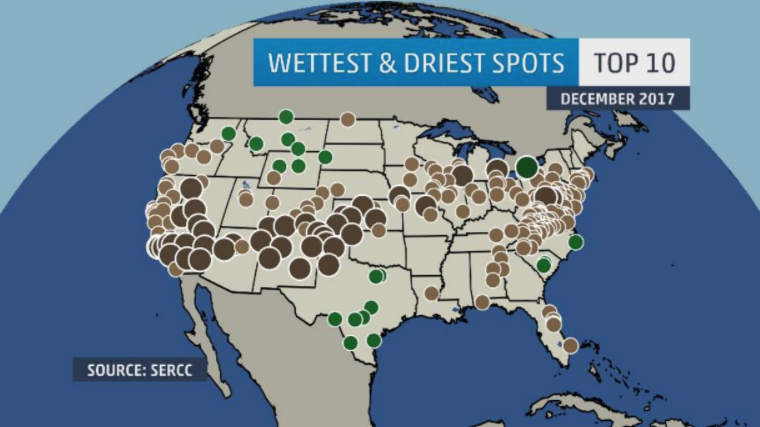 Yes, Quillayute was the wettest place in the US, but they actually were about two inches below average for the month which statistically made for one of the drier Decembers on record. There were 16 days with measurable rainfall this December, three of which had at least two inches of rain. That’s the 3rd most for any December on record. Other than that, no records were set for daily or month precipitation. On the year, land falling tropical systems and an active Gulf of Alaska storm track made for an exceptionally wet year in the Sierra Nevada, Gulf Coast, and Great Lakes regions. Beaumont-Port Arthur, TX had its wettest year on record thanks to Hurricane Harvey in August. The city would pick up 54.74” of rain that month making for a yearly total of 104.30”. Meanwhile, heavy snowfall would propel South Lake Tahoe, CA and Watertown, NY to their wettest year on record. 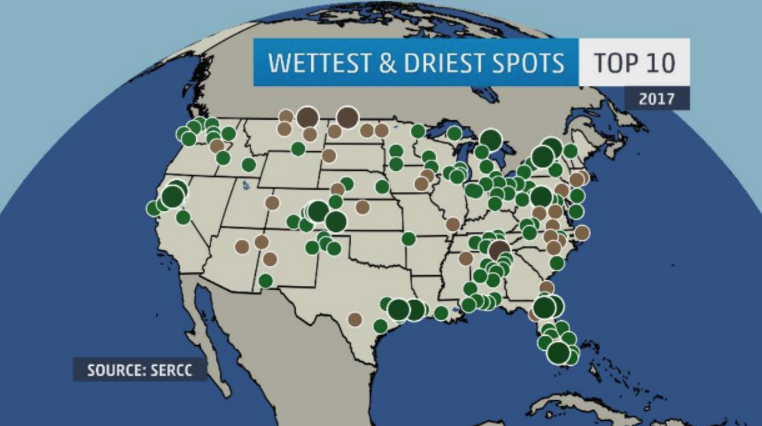 In total, 143 locations would have one of their top 10 wettest years on record in 2017. I said we’d get back to Erie, and here we are. 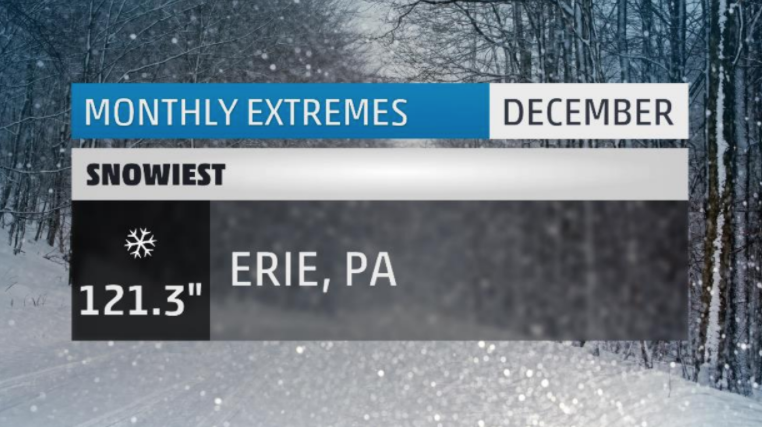 Not only did Erie have their snowiest December on record, but they also crushed the record for snowiest calendar month by 54.5”! An amazing two-day lake effect onslaught would dump over sixty inches of snow on the town over the Christmas holiday. This would break the Pennsylvania state two-day snowfall record by over ten inches. For the month, Erie had 16 days with measurable snow. Seven days had at least a half foot of snow. That’s a record for December. Three days would have at least a foot of snow. 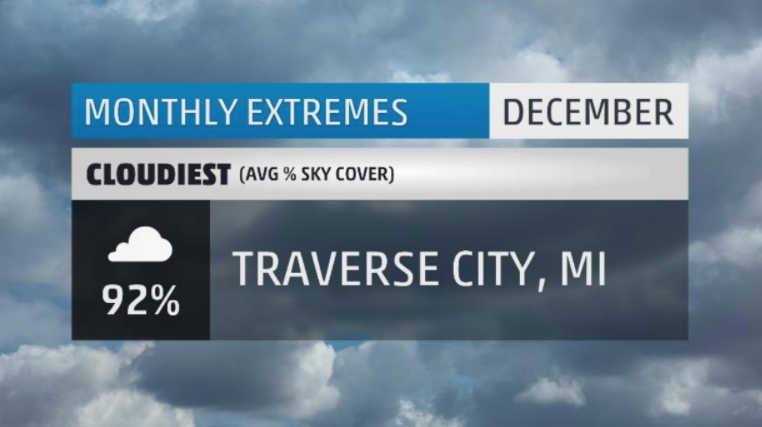 That’s another record for December. And finally, two days would have at least two feet of snow. That’s a record for any month in any year in recorded history for Erie. December 2017 now holds the record for not just greatest one-day snowfall, or two-day snowfall, or even three-day snowfall, but you would have to combine 67 days of winter 1977-78 to find the next highest consecutive day snow total (122”). If not another snowflake fell this season, Erie would already have its 7th snowiest season on record. The 121.3” that fell in December is already more than the city sees in any given year (101”). As a final note of perspective, I always like to measure lake-effect snowfall in terms of Andre the Giant – former professional wrestler and actor who stood at seven feet four inches tall. Approximately 1.38 Andre the Giants worth of snow fell in Erie this December. Think about that! Erie wasn’t the only place to see unprecedented snowfall in the month of December. Winter Storm Benji would produce a swath of snowfall, some of which was heavy, from Brownsville, TX through Atlanta, GA and up into New England. 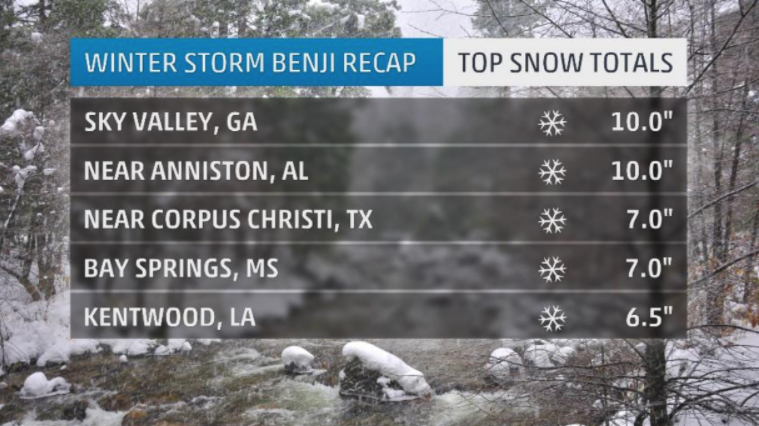 For many in the south, this was the most snow to fall in over two decades! Last month we went 16 miles from the US-Mexico border to find the sunniest place in the US. This month we go just four miles from the border in Campo, CA. 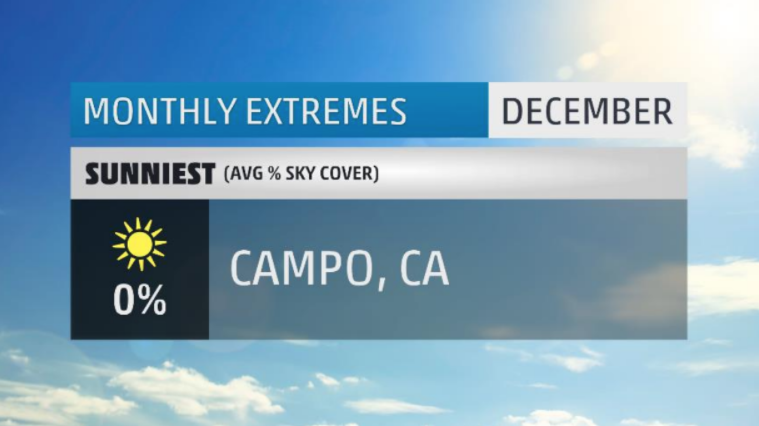 All thirty-one days in December were bright, blue, and cloud-free in Campo. The city ended the month 4.4 degrees above average making for the warmest December on record. Their last cloudy day occurred back on November 7th when they picked up a little over a third of an inch of rainfall. Typically, Campo’s sunniest month of the year is September. of the year for the city. There you have it, the extremes for the month that was December 2017. Make sure to check back next month to see what January and the New Year has in store! What weather extremes did you face in December or at any point in 2017? Let me know in the comments below. I just did not want to get out in the mess. The snow fall in Baton Rouge shut everything down. I think it was because everyone wanted to go outside & play!